Amazon has the Mega Construx Pokémon Blastoise Building Set on sale for just $13.82, down from $24.99. 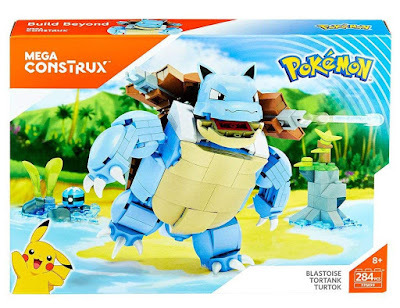 Bring your best shot to the battle with a buildable Blastoise! 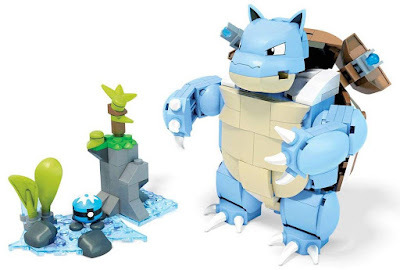 Fast, accurate, and powerful, now you can unleash a torrent of water-type moves when you build your own battle-ready Blastoise. With its hard shell, articulated arms, and strong stance, this iconic Water-type Pokémon stands ready to blast any opponent when you let loose with the 2 working water cannons. Blastoise comes with a buildable Water-type environment featuring battle effect details and a buildable mini dive ball.